Here’s a beautiful work of art crafted by Simon Beck, but it won’t last long. After years of competitive orienteering, Simon precisely maps out his walking patterns. 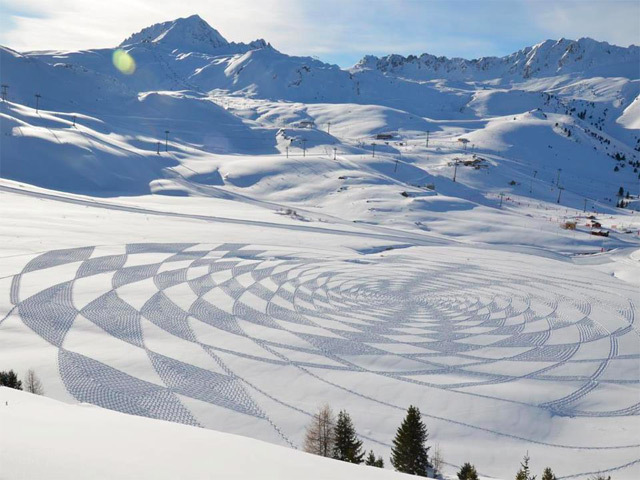 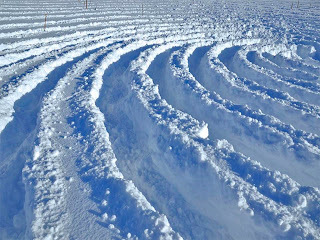 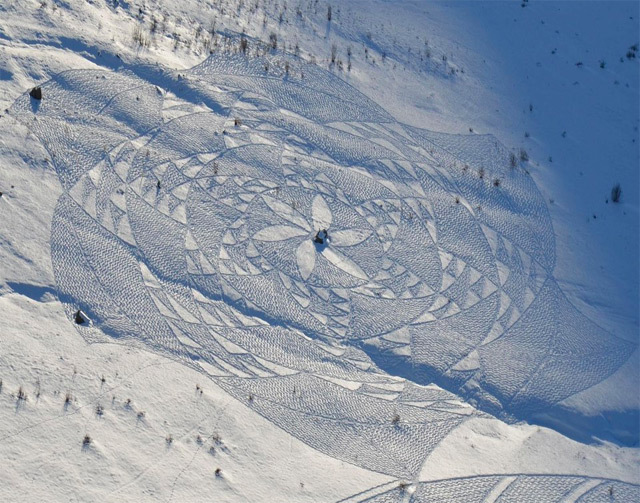 Yes, these works of art are created on freshly fallen snow using only his snowshoes. 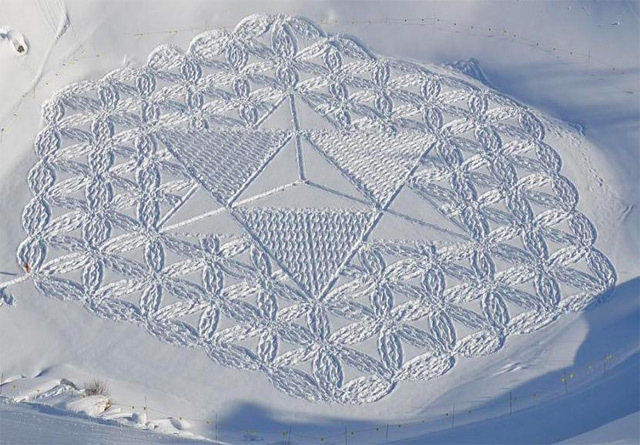 These wintery masterpieces can take anymore from 6 hours to 2 full days, depending on the size, to be completed. 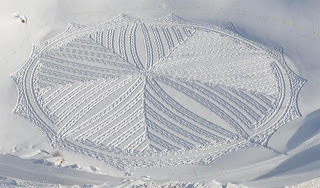 I'm so doing this this weekend.